I recently spent the night in the hospital with a friend who underwent a minor procedure. It was a fascinating experience to watch the hospital “from the other side”. Overall, I was very impressed – the nurses, patient assistants, technicians, clerks and food service personnel were universally professional and kind. But then we went to sleep…. or tried to. Vital signs, meds, and necessary events were more or less over for the day by 10pm. The unavoidable noise in the hall, unfamiliar bed, and the events of the day made it difficult to get to sleep, but we both drifted off around midnight. Not too long after this experience, I admitted a long-term (and adored) patient of mine for an elective procedure. Her parents reminded me that last time she was admitted I wrote an order to forgo the middle of the night vital signs so their daughter (and they) could sleep. 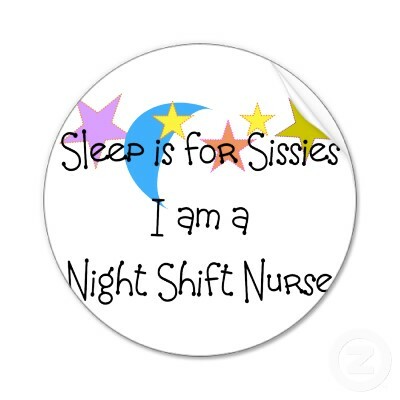 Coming on the heels of the night I spent with my friend, it made me think about how we manage sleep in the hospital. Why do we wake patients up to weigh them? 2) To have the data available for morning rounds. 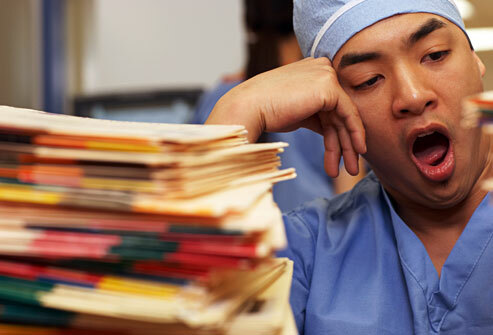 Is there really no way to off load the busy day time shift without waking up patients? Would it really change things if stable patients (particularly if they are on monitors!) were allowed to sleep through the night? Would it change therapy if the daily weights were at 10 in the morning instead of 4 in the morning? There’s no question it’s nice to have data for morning rounds – but is it really essential? How much of this is a holdover from the paper chart era? In the era of the electronic medical record, access to data- at any time of the day or night – is easier than it used to be. Granted, morning report or rounds would be different, but I think it’s something we could figure out. There is financial (and other) pressure to get patients out of the hospital. But have we looked at ways to manage this that don’t involve waking up patients? For example, there are hospitals that count the “day” in the hospital by the patient census at midnight. As long as you are out of the bed at midnight you don’t get charged for the day. Sleep is important for recovery from illness or injury. Sometimes it’s not about the patient. 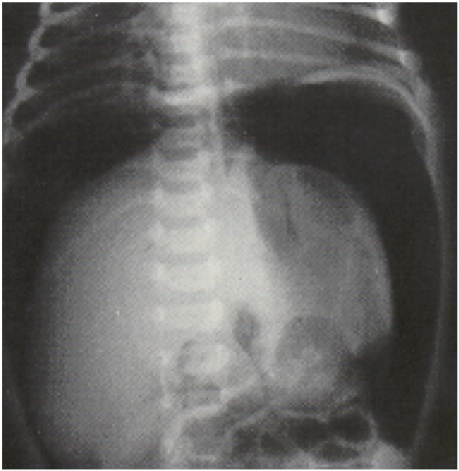 In babies with necrotizing enterocolitis, we order abdominal x-rays every 8 hours for at least a day or two (to look for air in the abdomen.). If the x-ray shows “free air” (like the one below), it means they need emergency surgery to deal with the perforated bowel. The 6am xray, if it shows a problem, will result in action around 7. If the baby needs surgery, the operating room is already set up for the 7:30 cases. Because the OR schedules is usually very full at the beginning of the day, we often then have to “bump” (postpone) a patient to do this emergency case. The 2pm x-ray will result in the surgery being posted around 3, a complicated time in the OR since day time nursing staff is leaving and the remaining cases are being juggled. The 10pm xray will start the process rolling at 11 or so – putting the surgeon in the OR in the middle of the night. The 3am xray, if it shows a problem, will result in action around 4. Surgeons are the early-birds of the hospital. Since they will be waking up early anyway, the case can easily be started at 5 or 6, which helps with the OR schedule and keeps the surgeon from being up all night. The 10am x-ray will result in the surgery being posted around 11 – this is a time when “holes” in the OR schedule are easier to find, and getting the baby into the operating room will be easier. The 8pm xray will start the process rolling at 9 or so – which means the surgeon is more likely to get some sleep. What’s the bottom line? We don’t think about some of the unintended consequences of our orders. Sleep is important – for both patients and the people taking care of them. It’s worth thinking about. This entry was posted in occupational hazards, sleep by marylbrandt. Bookmark the permalink.